From 9-23 May 2018, the public will be asked to vote online for their lunchtime food heroes in four categories: Best Pub, Best Café, Best Restaurant and Best On-the-Go. 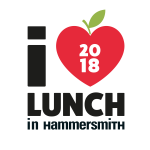 Organised by HammersmithLondon BID, I Love Lunch encourages locals and visitors to explore the wide variety of food options available in Hammersmith. This year, a new category, on-the-go, has been added to recognise the growing number of places in Hammersmith now offering a quick and casual dining experience. Last year, over 2,000 votes were cast, with the 2017 honours going to Hammersmith Ram for Best Pub, STREETeats for Best Café and Wagamama for Best Restaurant.